Thought provoking article. I MUST study Kivgiq! It certainly beats what passes for economic theory in the lower-48. Oddly, I feel a connection between native American north slope economic behavior and the “sophisticated” idea of Keynesian macroeconomics. Learned lower-48 economists, like Nobel Laureate Paul Krugman, tell us that actual wealth is a transient concept. It is putty to be shaped to meet the economic need of the moment. Basically, it means that actual goods and services mean nothing. They are parameters to be artificially manipulated for a perceived greater good. It is why the Federal Reserve is creating $85 billion in new paper money “wealth” every month in the USA. Our decedents will be held accountable for it. The ‘greater good’ is a good thing, but the methodology is… wellll… kinda dumb. 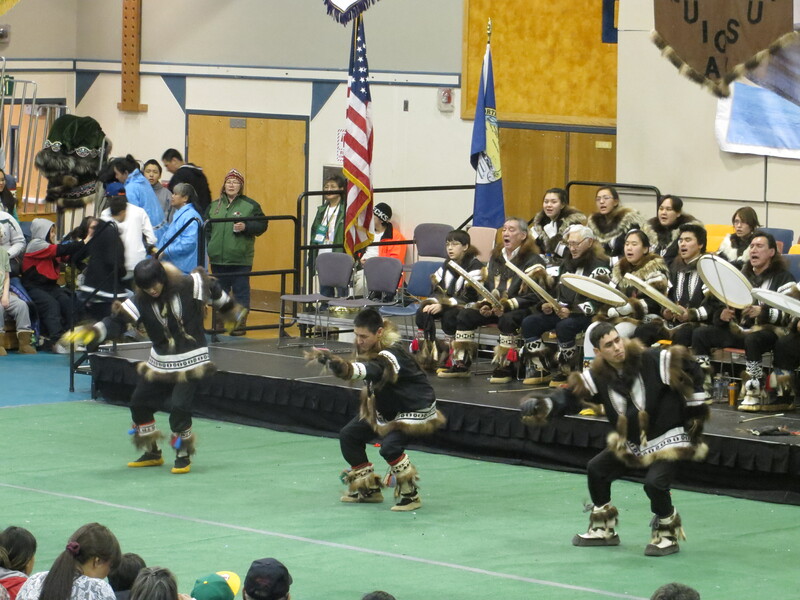 The Federal Reserve could learn much from north slope native Americans. The (de-)merits of Krugman’s theories aside, I wouldn’t draw too close a connection between this and Keynesian economics. What happens in kinship-based economic networks is one thing; what a nation does is quite another. I will leave only a brief note to say I thoroughly enjoyed this post. Having been out in our relative warmth and light, I can imagine the joy of the feast and the returning light. OH SO COOL!!!! I would have loved to been there! I love the little boy in the video – he will pass on the tradition!! Fingers crossed. …and come out some time. Kivgiq is a lot of fun. Is this a give-away? From the people that I know, there is no gift back, well, in reciprocation anyway. But, I am just me, cannot speak for others really. Can only share what I’ve seen and ask questions. I wouldn’t call it a give-away, but there are certainly parallels. I am curious about give-aways. I don’t believe I have seen one myself, and it’s been a long time since I read about them. Great post — I always feel much smarter after each of your posts. Thanks John. I’m glad you enjoyed this one. I feel very ignorant now because I’ve never heard of the Messenger Feast before, but it sounds great! I love when you do posts like this – I love learning something new about this state I find myself stuck in. Keep ’em coming. Thank you, Kevin. I have a few more on the back-burner. Should be able to haul them out now that I have some time on my hands.